First I’d like to thank you for giving the people of Scotland this opportunity to have a say on what additional devolved powers Scotland needs. While I was a Yes campaigner, I recognise that the Scottish Social Attitudes Survey 2014 showed the majority of people in Scotland wanted additional devolution or “devo max” as an option in the vote, and always thought this should have been an option people could have voted for (1). As Lord Ashcroft’s post referendum poll found 25% of No voters said they had voted No primarily because Scotland would get additional devolved powers, and assuming the vast majority of Yes voters will back additional powers too, a majority of Scottish voters of somewhere around 58% want more devolved powers (25% of the 55% who voted No would be 13.75% of all voters. The 45% of voters who voted Yes plus 13.75% would be 58.75%) (2). 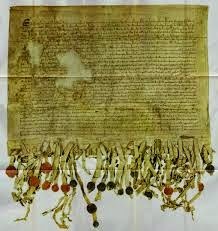 While the various Scottish and British political parties, pro and anti-independence, each have their own positions on what the additional powers should be, and clearly have to have input into the final decision, the Scottish people must also get a major part in making this decision. It should not be reduced to just being given a Yes or No vote on a package the parties agree among themselves to offer us. It should include the wider public getting to decide which options the whole country will choose from. Additional devolved powers are a more complicated issue than independence and cannot be reduced to a Yes or No without taking much of the say from the public. 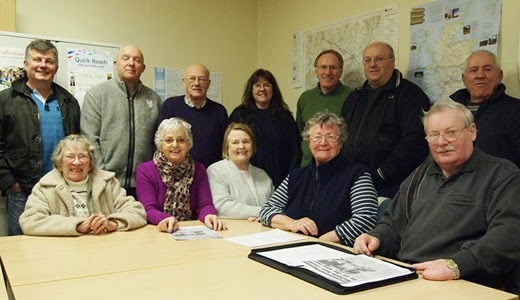 Another Scottish Constitutional Convention? Elected this time? One month is a very short period for such a consultation. I’d argue that the next stage should be a longer consultation period to a new Scottish Constitutional Convention elected by Single Transferrable Vote (STV) , allowing for candidates from smaller parties, and representatives of Scottish society who don’t represent any party, to be involved in drawing up the options (3) – (4). STV allows voters rather than party officials to rank candidates in order of preference, and ensures that no one’s vote is “wasted” by going to a candidate who is not elected. It allows voters to vote positively for the candidate or party they support most, rather than just negatively to try to keep the large party they dislike most out of power (5). 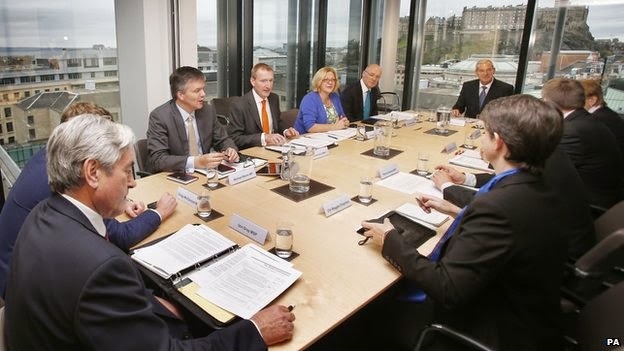 While an elected constitutional convention would take longer to put proposals for additional devolved powers together, due to the time required to elect it, those options would be more likely to reflect the views of the whole population rather than just a deal cut between the leaders of the largest political parties. While the Electoral Reform Society and the British Labour Party propose a UK Constitutional Convention this would risk become bogged down in disputes that can’t be resolved like English Votes for English Laws; as well as whether further devolution in England should happen at all, and, for those who want it, whether it should be to an English parliament or regional ones (6) – (8). There is no reason why additional devolved or federated powers for Scotland should not be decided separately to ensure they are not delayed indefinitely. Even if another Scottish Constitutional Convention is not formed though, the Scottish people’s views can still be taken into account. First through public consultations like this one. Second by looking at opinion poll results on what powers people in Scotland think should be devolved (though bodies accepted as neutral by all parties would have to be given a remit to conduct polls, as what results polls come up with depend on what questions are asked and how they’re phrased). Finally by making the final referendum on the proposed additional powers a multi-question one with voters able to approve or reject each major additional power or group of them, rather than just a single Yes or No question to approve or reject all of them. Opinion polls since the referendum already show majority support for devolution of welfare policy and budget to the Scottish parliament and government, as well as pensions, corporation tax and VAT (9). These polls show that the public want far more powers devolved than the main two UK parties plan. Other polls during the referendum campaign showed that two-thirds of voters did not know what additional powers these parties were offering in the event of a No vote (10). If the actual powers delivered are a disappointment to the majority of people in Scotland another independence referendum is likely within 5 to 6 years (or sooner if the UK leaves the EU). Labour politicians have raised reasonable concerns about this leading to competitive reductions in corporation tax across the UK, reducing tax revenues. While such competition does already take place between countries, it is arguably unhelpful (11). 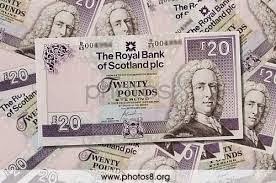 There is no reason, though, why the UK government could not continue to set the rates for these taxes, while the majority of revenues from them went directly to the Scottish government, assuming the majority of domestic governmental powers were devolved to the Scottish government. All devolved powers must include power over the budget for that power, or else the power has been devolved in name but not in reality. It also has to be emphasised that the plans for limited additional devolution amounting to little more than powers over income tax plus a “proportionate” cut in the devolved Scottish budget by the Labour and Conservative party leaderships are dubious and may well be motivated by an attempt to gain party political advantage over the SNP (12) - (14). Income tax is the tax most reported on by the media, most noticed by the electorate and so most politically sensitive. As a result UK governments have for decades avoided any rise in the basic rate of income tax. A devolved budget cut plus income tax powers would seem to be a trap set for the Scottish government, forcing it either to raise the most unpopular of taxes or cut services. (I’d add that I’m not an SNP member and have stood (and lost my deposit repeatedly) as an independent candidate in more than one election). Why many No voters will have expected full federalism based on Brown’s statements. Why full federalism is practical for Scotland in the UK. 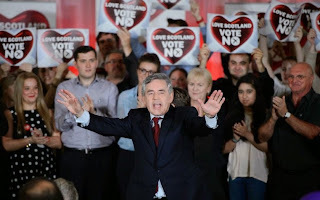 Gordon Brown MP, the former UK Chancellor and Prime Minister, greatly influenced the result of the referendum and the establishment of your own commission. However his opinions should not over-ride the views of the majority of the people of Scotland any more than any other politician’s. The terms he used are also likely to have given most people the impression that he and the UK party leaders were offering considerably more devolution than he or those party leaders actually plan to. During the referendum campaign Mr Brown claimed that a No vote would result in “as close to a federal state as you can be in a country where one nation is 85 per cent of the population” and “nothing less than a modern form of Scottish Home Rule” (15) – (16). While ‘devo max’ has never been clearly defined and ‘Home Rule’ similarly has no universally accepted definition, it’s likely that most people would see these phrases as meaning the same as federalism - the devolution of almost all domestic policy – full control of the budget and policy making for domestic policy – i.e everything except foreign and defence policy. While the degree of devolution of powers in existing federal systems like the US, Germany and Switzerland varies, it is high in every case. “As close to a federal state as you can be in a country where one nation has 85% of the population” would imply the maximum level of devolution as in Germany and Switzerland. While there are some grey areas on what is foreign policy and what is domestic policy (international trade policy etc) which would be matters for negotiation, the majority is easy to define. Mr Brown has implied that as Scotland has less than 10% of the population of the UK this precludes full federalism as “majority rule” must be maintained. Earlier this month he stated that “You see, in the United Kingdom, England is about 84% of the United Kingdom. Scotland’s 8%, Wales is 5%, Northern Ireland’s 3%. And you’ve got to find a fair distribution of power that recognises the majority rule but also recognises the minorities and that they have special needs that have to be met.” (17). This concern with maintaining “majority rule” is doubtful for two reasons. First existing federal systems include states with massively different populations, of far greater orders of magnitude than the differences between Scotland and England. In 2010 Perlis, the smallest state in Indonesia, has a population of under 250,000 people, while Selangor, the largest, has a population of over 5 million – a ratio of about 20 to 1 between the largest and smallest states, double the roughly 10 to 1 between England and Scotland (This does not include the smaller federal territories which are not states) (18). Bremen, the smallest state in Germany has a population of around 660,000 compared to over 17 million for North-Rhine Westphalia, a ratio of 25 to 1 (19). Eight states of the U.S had an estimated population of under 1 million in 2013 and another two populations of only just over 1 million, while California has a population of 38 million, a ratio of over 38 to 1 between smallest and largest (20). In any case it is likely that if the UK became a federal state England would be split into several regions with populations of a similar size to Scotland’s, as Gordon Brown himself has suggested, making the relative populations of the different nations in the UK irrelevant, as the devolution would probably not be only on the basis of nations, but regions of England (21). Second “majority rule” is a doubtful definition of democracy in the UK . First, due to the unrepresentative First-Past-The-Post voting system for UK General Elections, most UK governments have not had a majority of the votes cast. Most have had large majorities of seats in the UK parliament, sometimes even over 60% of the seats, while getting only 39 to 48 per cent of the vote (22) – (26). The current Coalition government is the only one in the last 66 years which was elected by a majority of voters, but it has also failed to represent the majority of voters in many ways (e.g by Nick Clegg MP breaking his main election pledge on tuition fees and in letting private companies run more NHS services despite public opposition – and by e.g the fact that many Lib Dem voters would have preferred them to form a coalition with Labour, or leave the Conservatives to run a minority government by not forming any coalition). So majority rule is the exception rather than the rule in UK politics. It is usually largest minority rule, but with that minority behaving as if it had a huge majority of the votes cast for every policy it implements, when in fact it has the support only of the largest minority, and on some policies, which were not brought up in the party’s election campaign or its manifesto, not even that. Second defining democracy as “majority rule” would lead to many undemocratic implications. In Northern Ireland “majority rule” under “Home Rule” led at one point to the Protestant, Unionist majority being given free reign implement policies that disadvantaged the Catholic minority. Third “majority rule” is a dubious definition of democracy. Is it democratic if a small majority completely over-rule the wishes of a large minority, or even if, as more often happens in UK politics, the largest minority completely over-ride the wishes of the majority? Surely real democracy involves everyone having an equal say, not winners and losers? Finally defining “majority rule” as the defining democratic principle of the UK would mean that on every important matter the opinions, wishes and interests of the Scottish, Welsh and Northern Irish minorities would remain irrelevant. On every issue the majority in England would over-rule them. Scotland has just 59 MPs out of 650 in the UK parliament. Frequently a majority of Scottish MPs will vote the opposite way to the majority of English MPs on an issue. As the Reverend Stuart Campbell has shown on his ‘Wings Over Scotland’ blog, MPs elected in Scotland have only changed the results of UK elections four times since 1945, and in each case only marginally (27). The House of Commons Library blog has largely confirmed Campbell’s analysis, finding that the overall result of all but four of the 18 UK General elections since 1945 would have been the same with or without MPs elected in Scotland (28). Scotland desperately needs the powers to regulate banks, hedge firms and other financial sector firms operating here in order to avoid another financial crisis and recession. We also need to stop banks foreclosing mortgages on the homes of taxpayers who bailed them out, and letting viable businesses collapse through refusal to even provide bridging loans. If the British government was willing to effectively regulate the financial sector this would not be a problem, but UK governments of all parties have failed to even institute any law banning high street savings banks from also being involved in dubious “investment” banking (often effectively high risk bets like the trading in futures). Even the US had such a law, the Glass Steagall Act, gradually repealed in the 1980s and 1990s, with disastrous results more recently (29). The Conservative party gets more than half its funding from banks and hedge funds. 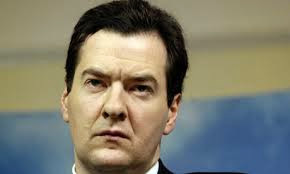 Predictably Chancellor George Osborne has not instituted a full legal separation on the types of banking, instead referring to ‘Chinese walls’, ‘firewalls’ and ‘ring fences’ between the two arms of the same bank, which amount to the lack of a legal ban that would prevent another crisis (30) – (32). 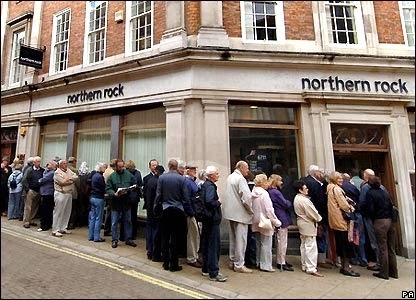 For similar reasons Scotland needs the power to set up a nationalised bank to provide secure savings for savers and low interest loans and grants to small and medium sized businesses, as well as the power for local councils to set up local government banks similar to the regional and local ones in Germany. 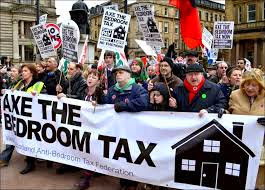 The UK Labour party has said that it intends to establish something similar, but is not guaranteed to get a majority in the UK parliament for this after the next election. 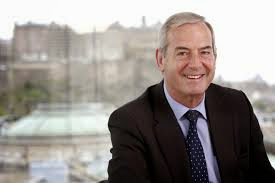 Some have pointed to the sizeable minority vote for the Conservatives in the 2010 General election (16% of the vote) and the election of a UKIP MEP in Scotland in the last European Parliament elections as signs that unionism and conservatism are stronger in Scotland than has been assumed. This may be true, but they remain a minority. The Eurosceptics and pro-Europeans share one principle though – the idea of subsidiarity, that decisions should be taken at the lowest level possible for that kind of decision (33). This would imply that if they wish to have more decisions taken by the UK government rather than the EU, they would have to approve the maximum devolution of powers from the UK government to the Scottish government, from it to local councils, and from local councils to community councils, too, based on the same principle (34). If they want to do the first but none of the rest then they are clearly basing their decision not on democracy or subsidiarity, but blind nationalism, merely blind British nationalism rather than blind Scottish nationalism – and that is not a principle worth upholding, it’s not a principle at all. The SNP’s tendency to want to centralise all the powers devolved to Scotland in the Scottish parliament equally needs to be challenged by the principle of subsidiarity, with both more powers transferred from the UK parliament to the Scottish parliament, from it to local councils and from them to community councils. This should include budgets and revenue raising powers. While the principle of devolving the power to decide the electoral system for the Scottish parliament to the Scottish parliament is a good one, care has to be taken that it does not give the two largest parties in Scotland – Labour and the SNP – the power to change it to a purely First-Past-The-Post system that would benefit them but be as poor in terms of democracy as the Westminster voting system. Several Labour MSPs have suggested in the past that the Holyrood voting system be changed to the supposedly “fairer” FPTP and referred to SNP list MSPs as having been “defeated” and as “sneaking into the Scottish parliament through the back door”. There has to be some suspicion that the Labour party proposals to devolve this power might be about party political advantage. While the SNP has not made similar suggestions on changing the voting system to FPTP for Scottish parliament elections so far, it’s possible that, if they win most seats in Scotland in the 2015 General Election under FPTP, as polls suggest they could, they might be tempted to do so. The current voting system , designed by Labour to prevent the SNP ever getting a majority, failed to do so. So it will not prevent Labour or the SNP from pushing through changes to the voting system made purely for party political advantage either. One way to reduce this risk would to require a 66% majority in the Scottish parliament, followed by a referendum, to make any change in the voting system. The referendum could be held on the same day as the subsequent Scottish parliament elections to avoid voter fatigue or low turnout, and to reduce costs. 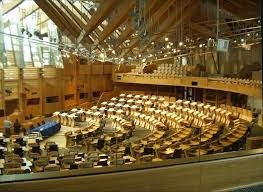 Any resulting change in the voting system would not be made until the Scottish parliament elections after those. 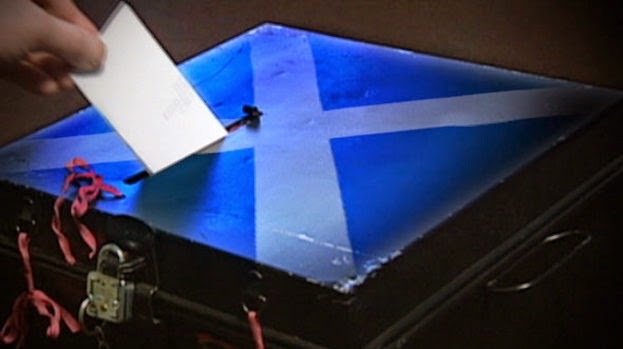 On the other hand some senior Scottish Labour and Lib Dem figures have in the past suggested changing the voting system to Single Transferrable Vote, which could be a step forward from the current Additional Member System, so a balance has to be struck between making electoral reform possible, and blocking backwards steps taken for party political advantage (35) – (36). However when the Single Transferable Vote was used for council elections in Scotland in 2012 and Labour lost seats to the SNP, some Labour MSPs, and the largely pro-Labour Daily Record, began to criticise the voting system as “too complicated” and claiming that the “over complicated” voting system had resulted in a reduced voter turnout, despite the turnout actually having been higher than in the previous council elections, and higher than in the 2012 council elections in England (37) – (38). This underlines the risk of big parties given the power to change the electoral system using it to change it to their advantage even if this reduces choice for voters. 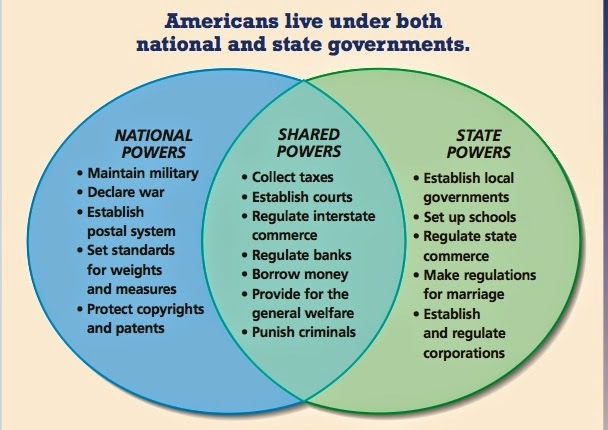 Almost every federal system in the world has a written constitution defining what powers are held by the different levels of government, and a constitutional court to adjudicate disputed and grey areas. This would be beneficial for a Scotland with devolved federal powers, but the complications and earlier stages of devolution to the rest of the UK do not need to delay Scotland getting additional powers. The section of a written constitution relating to Scotland could be written separately and before those relating to other nations and/or regions of the UK. Devolution in the UK has involved asymmetric division of powers in which some policy areas are Reserved, with only the UK government able to legislate or make decisions on them, while others are Devolved to the Scottish, Welsh, Northern Irish and London parliaments or Assemblies. The UK government however retains the power to legislate or make decisions even on devolved matters, with the limit that it only do so with the consent of the devolved parliaments being a “convention” rather than an absolute restriction. So far the UK government has not broken this convention, but most people in the devolved areas do not realise that it retains the power to do so (39). 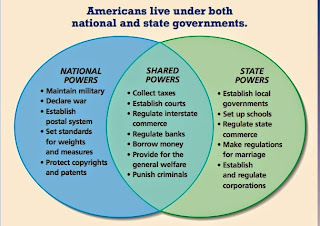 In a Federal system the central government would not retain this power, with the division between regional/national and central government powers being absolute and symmetrical (i.e neither could encroach into the other’s specified policy area), other than for a few grey areas of joint responsibility. I would argue that Scotland’s devolved powers should become policy areas in which the UK government cannot act or legislate without a majority vote in the Scottish parliament permitting them to do so on a specific issue, and similarly for devolved or federally divided powers in other regional/national parliaments and assemblies.